Welcome back to our four-part series on Mazda Road to Indy prospect Michai Stephens, the record of one driver’s unpredictable journey into the racing world. If you have missed part one or part two of the series, do yourself a favor and catch up! Click the links and read about the first half of Michai’s story so that you may better understand today’s entry. After an intense shootout for the opportunity to race under the Team USA banner, a strenuous review session followed that would change the course of Michai’s career. His stiffest competition came against future Indy Lights driver and recent Schmitt Peterson IndyCar test driver Aaron Telitz. Telitz, an experienced karting driver by that point in his career, had far more laps behind the wheel of race cars than Michai, though in the two drivers’ fastest laps, Michai was a mere tenth off of the top time set by Telitz. 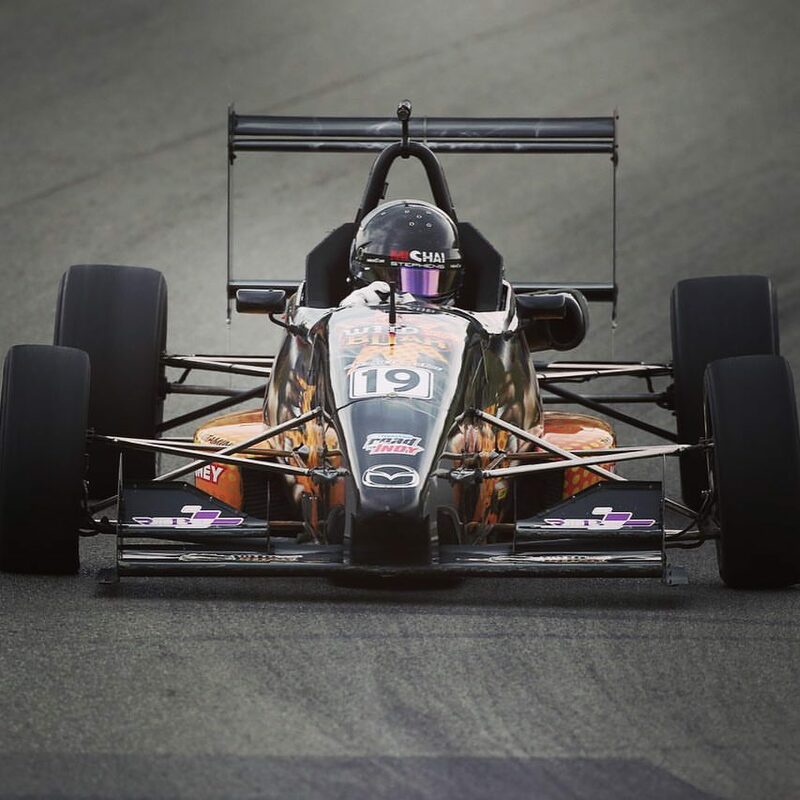 Michai was selected, alongside Telitz, to represent Team USA at the Formula Ford Festival and Walter Hayes Trophy events in the United Kingdom. With the nomination and the travel that would follow, Michai became the first person in his family to ever leave the country. The first of two crown jewel events, the Formula Ford Festival, was not kind to Michai. Incidents kept the first-year competitor from finishing the first race event he was involved in, and in the blink of an eye, one tremendous opportunity had slipped away. Arriving at Silverstone two weeks later with a chip on his shoulder, Michai would turn in one of the more dazzling drives ever seen at a development racing level. In a 118-car field and a multi-heat format, Michai would outlast nearly the entire competition to secure a third-place finish in the prestigious European auto race. In an interview with Racer.com following the stunning display of execution, Shaw continued to sing his absolute best praises. Following a triumphant finish to his European campaign, Michai returned home to compete in the Skip Barber Mazda Road to Indy Scholarship Shootout. Once again, Luke Gabin would stand between him and the chance to make a statement. Held at Road Atlanta, the shootout tested not only a driver’s on-track ability but also business savvy and personality in front of the camera off-track. 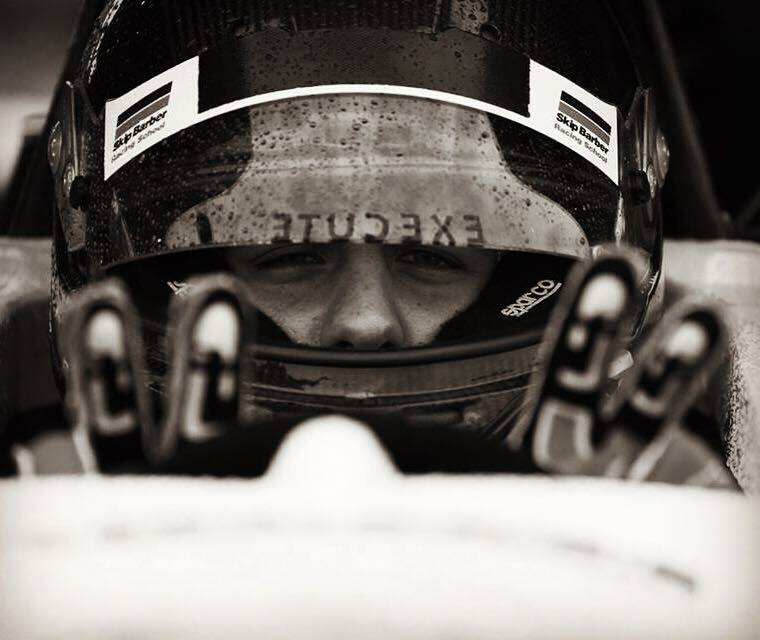 While a handful of his competitors had already raced at the track during Skip Barber’s, inaugural round of the Winter series and available test days, it was perceived that they would have an advantage. Much to their disbelief, Michai started the competition quickly and taking to his refined belief in himself and his vision. After wonderful execution and scoring in each sector of the competition, Michai was leading the competition. Unfortunately, the shootout was designed to eliminate each driver’s worst finish. This allowed Gabin’s very poor “worst” result to be dropped, where Michai had a lesser “worst” result and was more consistent. Luke’s was a 25, and Michai’s was a 28. Before the “drop race” was factored in, Michai held a 1.2-point advantage on Gabin. Following the elimination of those races, Michai lost the three point lead he had in the worst finish category. This catapulted Gabin ahead of Michai and the competition ended with the Australian driver defeating Michai by 1.8 points. Left budget less to compete in 2016, Michai campaigned for yet another Team USA Scholarship opportunity. Only four drivers before him had been selected as double recipients of the Scholarship, and Michai’s career hung on him becoming the fifth. Images courtesy of Michai Stephens. Check back in for the final part in our series on Michai Stephens, to be released on Wednesday, April 25, 2018.